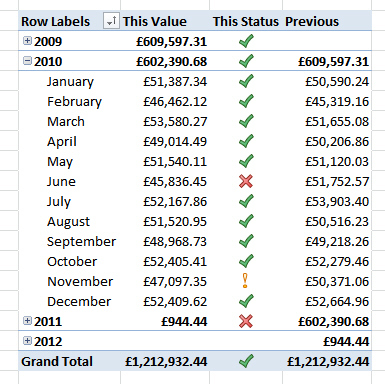 One giving the total value of sales for the same period in the previous year (one way to do this is with the SAMEPERIODLASTYEAR function). The green tick means 95% or above; the yellow exclamation mark means 90% or above. Save this as Month by month, then close it down.